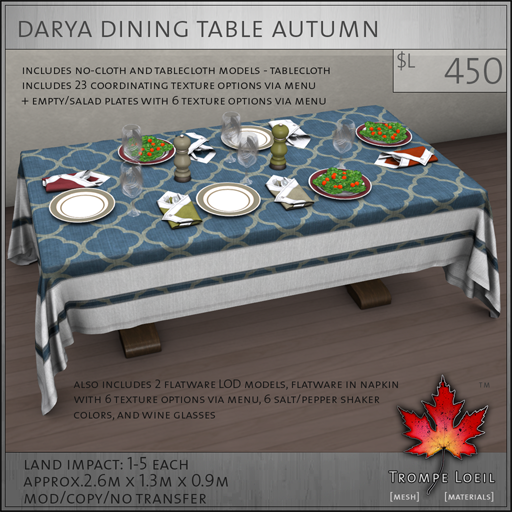 Its time to dine with FaMESHed! 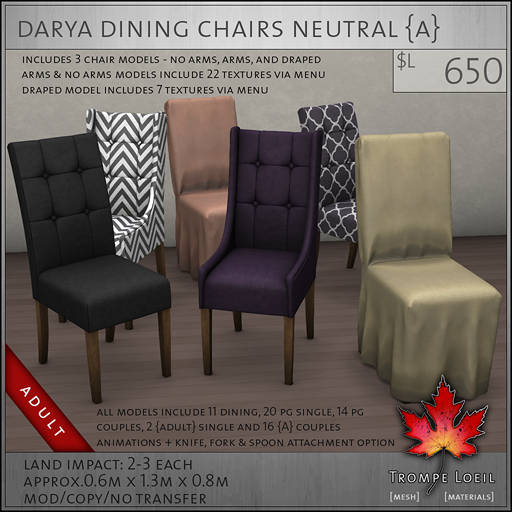 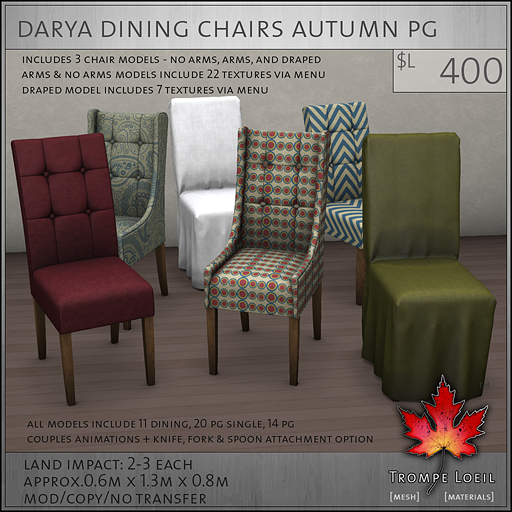 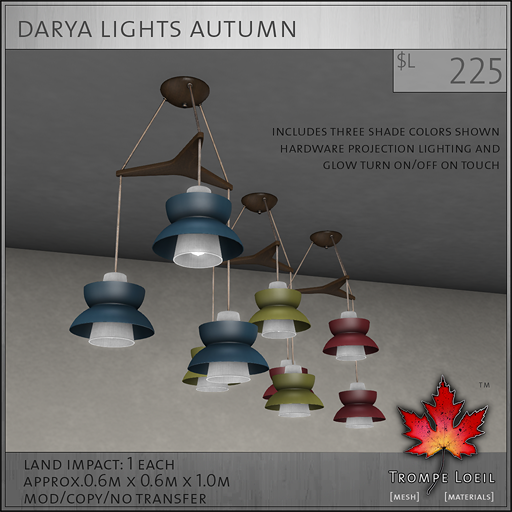 Trompe Loeil’s new Darya Dining Collection provides a flexible dining room solution with a huge selection of coordinating colors and patterns to choose from on the fly. 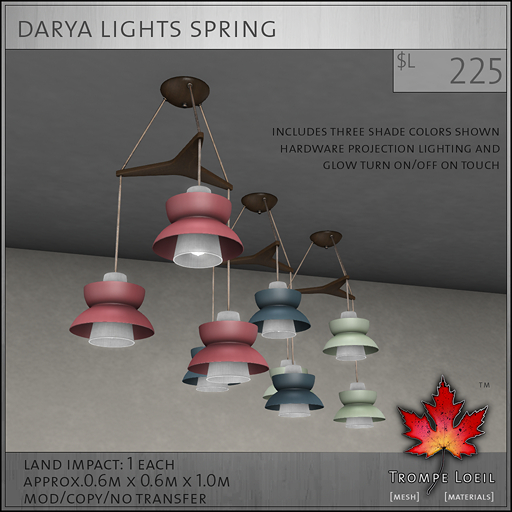 Start with your favorite color set – Neutral, Spring, or Autumn. 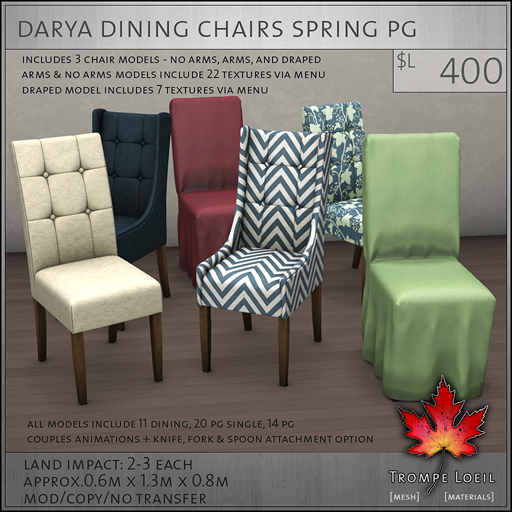 Then, grab the Dining Chairs (we include three different models!) 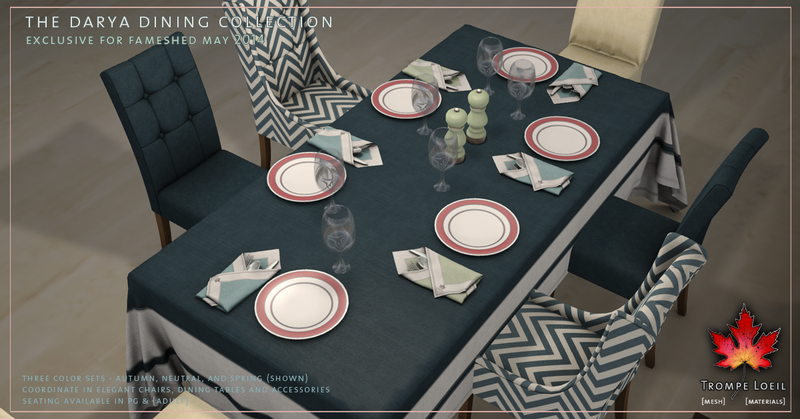 with up to 22 texture selections for each via owner-only menu, that mix and match effortlessly – from retro to demure, solids and patterns galore, PG and Adult versions, including Dining animations with fork, knife and spoon props available! 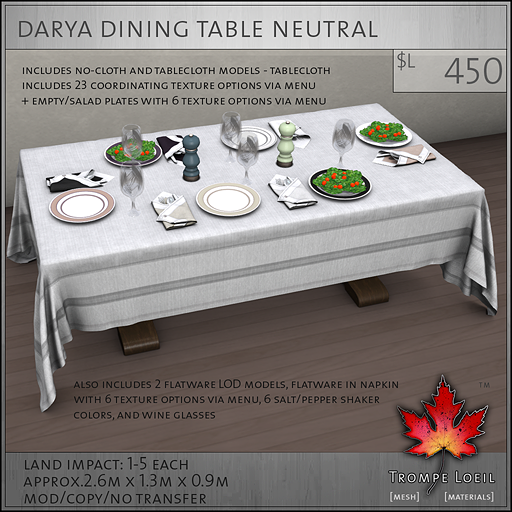 Then pick a matching Dining Table (we include with Tablecloth and without) with 24 coordinating colors and patterns, plus included matching plates, flatwear sets (with and without coordinating texture-change Napkins), glasses, and salt/pepper shakers. 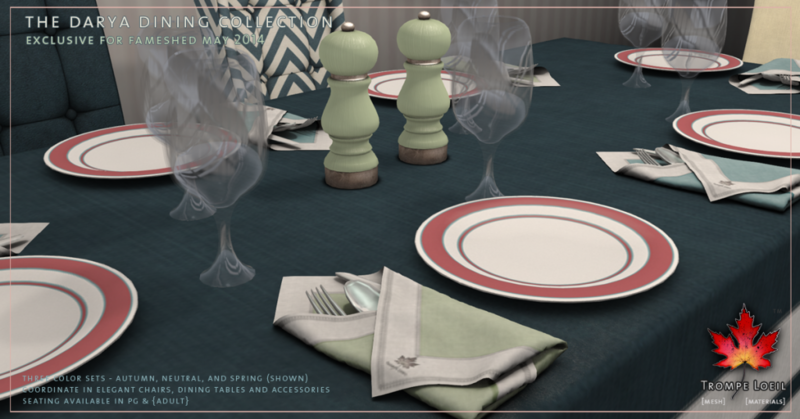 Set a table for two or sit an entire dinner party – go from elegant to funky in a few clicks! 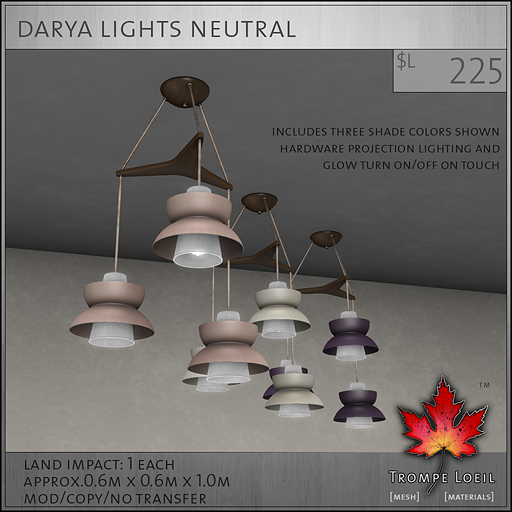 Finally, don’t forget coordinating Ceiling Lights that include three colors per set, and that turn on and off projection lighting with a touch. 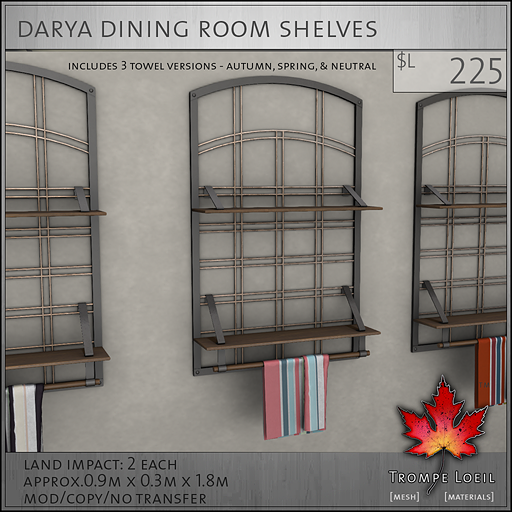 The Dining Room Shelf set includes three towel color sets and perfectly offsets the rest of your collection. 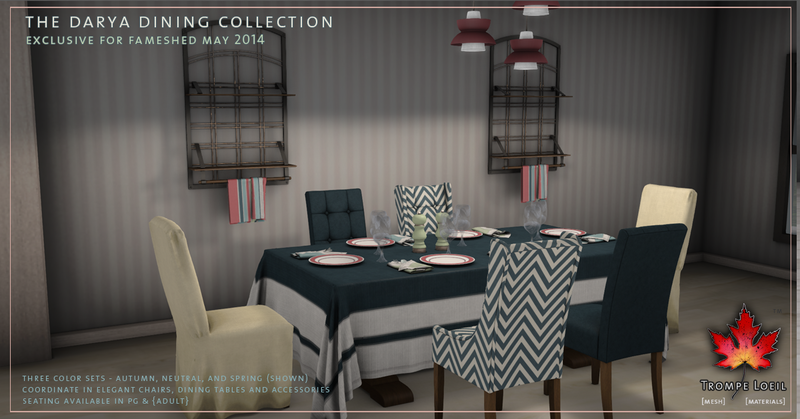 Try out the demos in person at FaMESHed today!